Mann created these evocative, monumentally scaled images with a large format camera and an antiquated method: the wet plate collodion. One of the earliest and most technically complex photographic methods, invented by Frederick Scott Archer in 1850, the collodian chemistry produces a deep, rich effect which is further enhanced in Mann’s photographs by her addition of Soluvar varnish to which she added diatomaceous earth. The combined techniques lend ambiguity to her landscapes in which clues to specific sites are often absent. The exhibited images speak to the universal as Mann, through her camera lens, lovingly memorializes these hallowed sites. Sally Mann was born in Lexington, Virginia, in 1951 and received her undergraduate and graduate degrees from Hollins University. Her work has been the focus of exhibitions worldwide, including a recent major retrospective of her work titled The Flesh and the Spirit at the Virginia Museum of Fine Arts. She has received numerous awards, including from the National Endowment for the Arts, the National Endowment of the Humanities, and Guggenheim Foundation grants. Mann’s work is held by major institutions internationally and she is represented by Gagosian Gallery, New York and Edwynn Houk Gallery, New York. Mann’s work has been the subject of over fourteen monographs and her newest book, Hold Still, will be published in May of 2015 by Little, Brown. 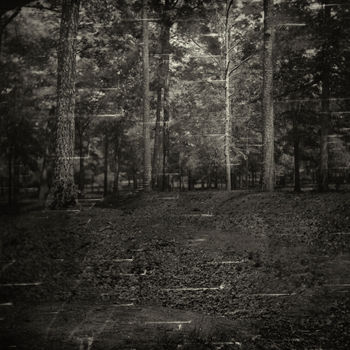 Sally Mann: Battlefields has been organized by the Taubman Museum of Art and curated by Amy G. Moorefield, Deputy Director of Exhibitions and Collections with special assistance from Gagosian Gallery in New York. This exhibition will be on view February 7- May 2, 2015, in the Bank of America Foundation/Dominion Resources Gallery.